The central theme of this collection of essays, first published in 1978, is the basic tension in Nietzsche, and so in his work, between the urge to weave a satisfying web out of reality and the equally strong compulsion to expose its painful truths. The book aims to stress, not to play down, the embarassing and fruitful fact that he cannot be neatly pigeonholed either as a literary figure or as a professional philosopher. 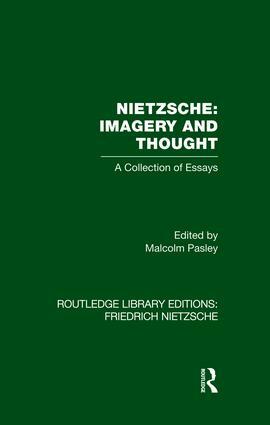 The book meets a long-felt need for a study in English of both the literary and the philosophical aspects of Nietzsche's work, based on his authentic texts, and will be welcomed by all students of modern European thought and Literature.